The UCI requires all events to cover lodging and meals for all pro teams during UCI-sanctioned stage races, regardless of their professional status. However beyond this requirement, invitational events such as the Amgen Tour of California often entice top teams by covering airfare costs, which, for a European team and staff of 20, can cost upwards of $25,000. Top teams also often receive appearance fees, as well as assistance from race organizers in securing travel visas. The Colombian Movistar Continental team (which is the lower-tier team associated with the Spanish ProTeam of the same name) was invited to the race because of a new UCI rule, set forth in late January, demanding that non-European events invite their regions’ top teams. 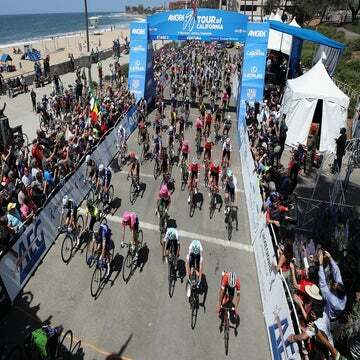 The Amgen Tour of California is part of the UCI’s America’s Tour. However several sources contacted VeloNews claiming that the team was angry it had not been offered any additional money, in airfare or appearance fees, to come to the race. Messick refused to speculate on whether Movistar expected to have its airfare paid for, as WorldTour teams do, but added that the difference in treatment between Pro Team, Pro Continental and Continental teams was justified.